Romance thrives with good conversations, mutual affection and often, delightful food. Whether you're enjoying exquisite high-end cuisine or a down-to-earth dinner with your partner, sharing a meal builds intimacy in a way like nothing else can. Make your night easier by placing an early reservation for Valentine’s Day at one of these outstanding Park City restaurants. Timeslots and tables will fill up quickly! Hearth and Hill is a welcomed addition to Park City’s restaurant scene. Couples will admire the casual and elegant atmosphere of their contemporary restaurant design, making it a must visit for anybody looking to try something new and exciting on Valentine’s Day. 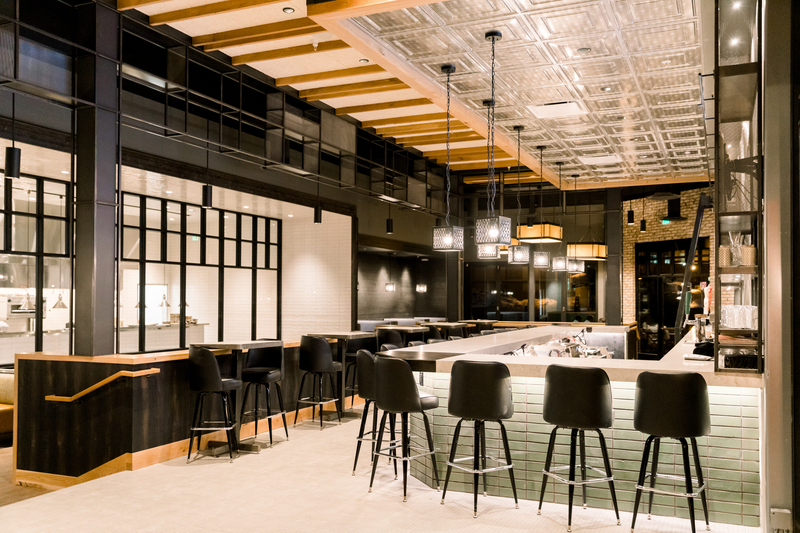 Chef Jordan’s menu hosts local dishes and flavors from around the world, including Hamachi Crudo, ramen, Korean fried Chicken, and more that will leave you planning your next visit. Make a Valentine’s Day reservation online or by phone. Looking for an opulent Valentine's Day date where you don't need to dress up, but still feel like royalty? 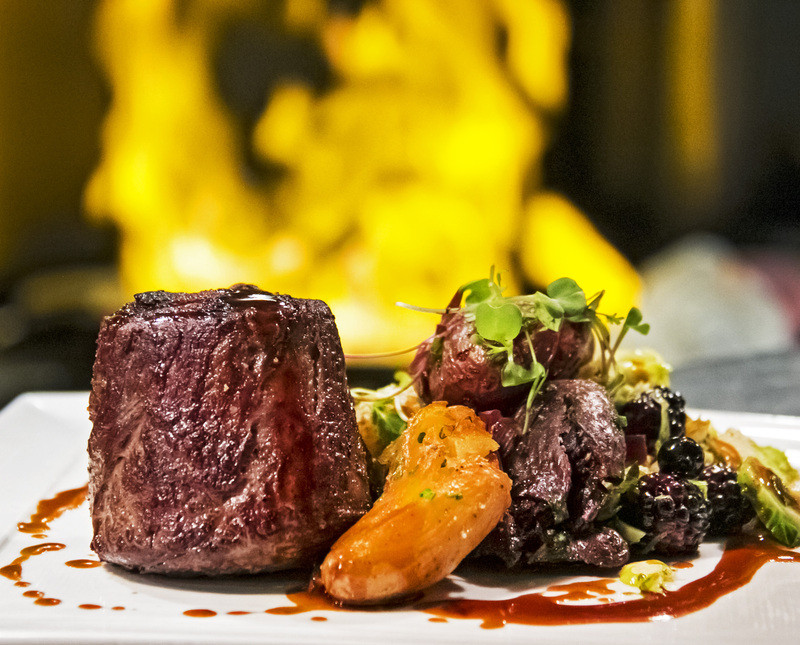 Settle into luxury after a day of hitting the slopes at The Edge Steakhouse, where their team treats you like family and the steak melts in your mouth. Get engrossed in conversations in a snug semi-private booth quiet enough for you to closely engage with your partner in comfort. The carefully raised Wagyu beef is one of the many responsibly sourced steaks and seafood meals to try at this acclaimed restaurant. 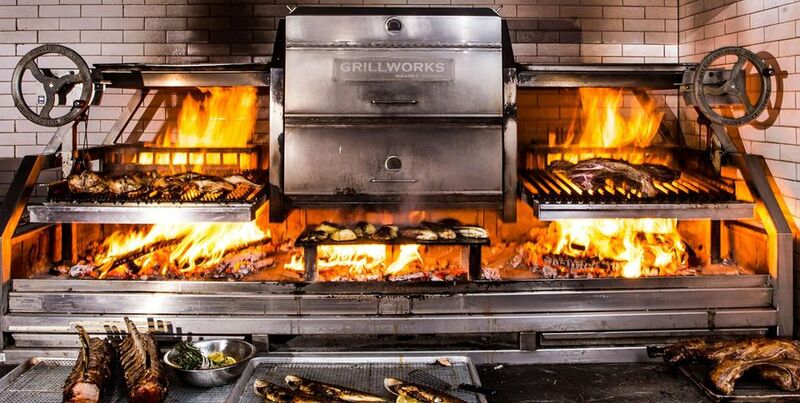 Stoke the fire of love while enjoying local, seasonal local favorites at Firewood. Feast on savory smoked trout toast or steak tartare, and finish with a little sweetness with a rich chocolate Napoleon. Make sure to settle into a table where you can catch a glimpse into the kitchen, where expert chefs prepare every meal with care over a roaring wood fire. The service really goes the extra mile. You'll both leave warm and content after dining at Firewood. 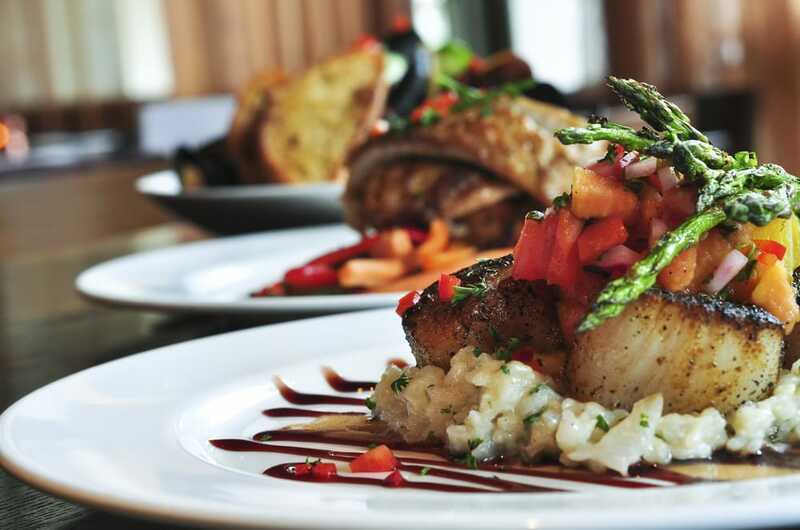 Catch the fresh flavors of the ocean for a one-of-a-kind Valentine's Day in the heart of Park City. 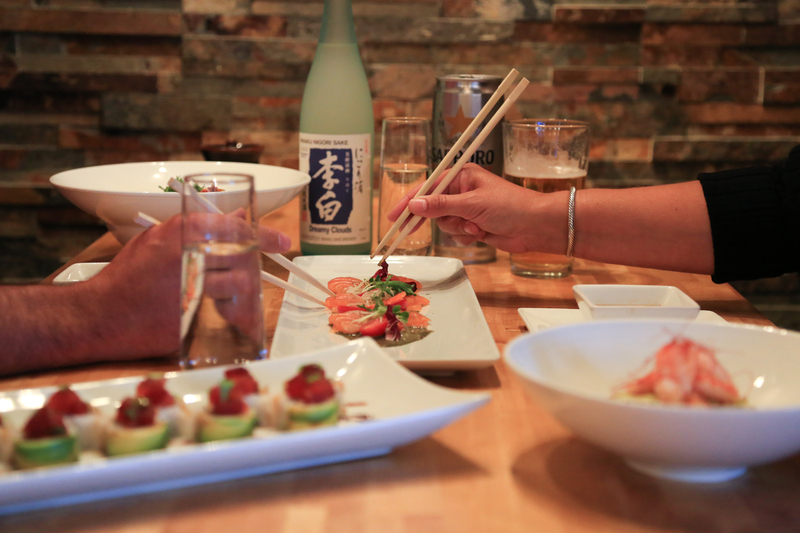 Snuggle with your sweetie at Yuki Yama Sushi for an impressive fusion of modern Korean and Japanese cuisine. Watch their team prepare colorful sushi rolls before you and your partner and cook your own Wagyu beef right at your table. Wrap up the meal with spoonfuls of marvelous matcha green tea ice cream made in house. The friendly restaurant encourages sharing, making it the perfect place for loved ones looking to explore new cuisine together. Grab a seat in the back with the sunken floor for a more authentic feel. Inspiring and creative, Powder at Waldorf is one of the key places couples are looking to eat on Valentine's Day. Powder’s fresh cuisine and exquisite dining area make it a fantastic option for anybody planning a romantic surprise. Reserve a table and enjoy a modern menu enhanced with local and seasonal ingredients influenced by our mountains over skyline views. Their Valentine’s Day menu includes orders of grilled swordfish, rack of lamb, oysters on the half shell, and other delectable plates you can’t miss. No matter which Park City restaurant you make a reservation at this Valentine’s Day, the quality of our local food guarantees you are in for an unforgettable romantic meal. The Park City Restaurant Association website is your go-to source for delightful eats on Valentine's Day and beyond.